I told her one thing I learned I was already implementing. I want the whole team to have better access. 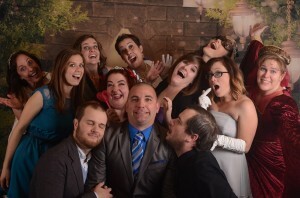 I want everyone to feel comfortable talking to this crazy, fun leadership team. So, I am setting up some points of access this year. We are going to have mandatory (read paid) staff meetings where we can talk about the good, the bad, and the ugly. Now, this is quite a costly endeavor for Compass. We will be paying for 225 employees to come to these meetings three times this year. Yes, it will cost our staff too. Our team will all have to make the effort to be present (read come) and to speak up (read talk). I want us to be a community when times are great and we get to get our “bowl on”, but I also want us to be able to talk about hard issues and problem solve together. Lastly, I am in the process of setting up some “Hanging with the Hess’” events where you can come hang out and share a meal with Eric and Sadie. People will need to sign up and there will be more information coming soon. It will be a chance for field staff to get “face time” with the big bosses. I hope to meet some new faces and see some familiar faces. It will be super fun.